The old adage, “it’s like riding a bike,” is meant to offer reassurance. Like riding a bike, one’s muscle memory gets built up while engaged in certain tasks. This is good news, particularly for residents of Richford. Here, current and would-be cyclists can get on a bike more easily than ever before. Why? Because the Richford Economic Advancement Corporation (REAC) has recently partnered with RiseVT to offer bike rentals to residents of the area. Jenna Purdell, a board member of REAC, was thrilled to learn that the RiseVT grant she’d applied for on behalf of the nonprofit had been awarded. Jenna first heard about the grant in late spring. 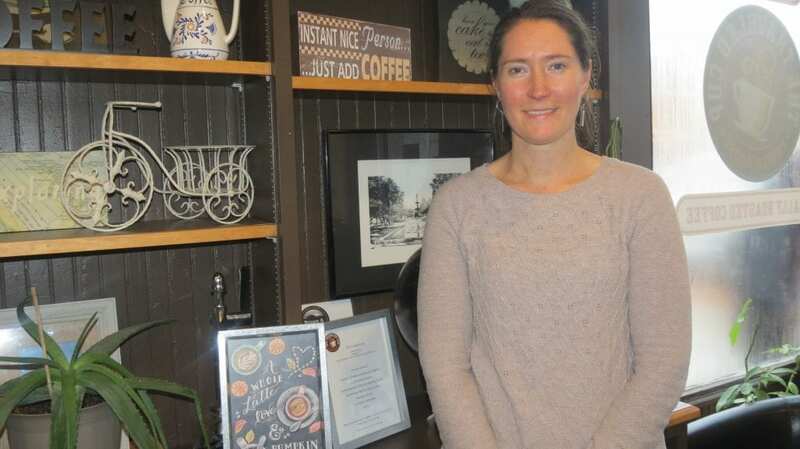 She applied toward the end of the grant period and about a month later, learned that REAC had been awarded a $4,000 grant to start the bicycle lending program. From there Jenna stated, it was a push to get things rolling as quickly as possible. “I worked with Ethan at The Jay Cloud Cyclery [in Montgomery] and he worked with Trek. So, we were able to purchase the bikes for the bike share program through him,” Jenna said. Trek brand bikes are known for their excellent quality and durability. Purchasing the bicycles through The Jay Cloud Cyclery also supports a small Vermont business. The RiseVT grant paid for six adult-sized bikes and three bikes for older elementary children or middle school-aged youth, said Jenna. Community Promise, another nonprofit in the Richford area, already offers bicycles for younger children along with strollers, she noted. The nine new bikes that make up the bike share program make it even easier for families to get out and be active together. While the bicycles arrived over the summer, there was further paperwork to coordinate, noted Jenna. The bike borrowing program officially began in September. Getting the word out about any new program can be a challenge. Advertising done in schools and on Front Porch Forum informed families and individuals that the bikes are available and ready to use. With winter coming, it will soon be time to swap out bicycling for skiing or other wintertime pursuits. “We’ll secure them for the winter and put out a bigger campaign once spring comes around and the snow is melted,” Jenna said. This program is completely free to community members and offers a great way for those who are less active than they’d like access to a fun way to exercise and get outdoors. RiseVT even included helmets for riders, Jenna noted. Additionally, the grant covered the cost of signage for the bike loan program along with locks for borrowers to secure the bicycles if needed. So, how exactly does the program work? Residents of Richford can go to the NOTCH located at 44 Main Street in Richford and sign out a bike—or several if a family wants to ride together. “You can take the bike for that day to ride on the Rail Trail,” Jenna said, “or if you’re having family over, you can sign out a couple of bikes at a time.” Kids at the local school could use them for afterschool activities and some teachers, Jenna noted, have already been discussing the formation of a bike club. “It’s a way for community members who maybe can’t afford a bike to be able to have access. They can borrow a bike and use the nearby Rail Trail,” said Jenna. Bikes are lent between 8:00 a.m. until 4:00 p.m., Monday through Friday and from 8:00 a.m. until 1:00 p.m., on Saturdays. A shed, provided by the Town of Richford, sits on-site and houses the bikes.